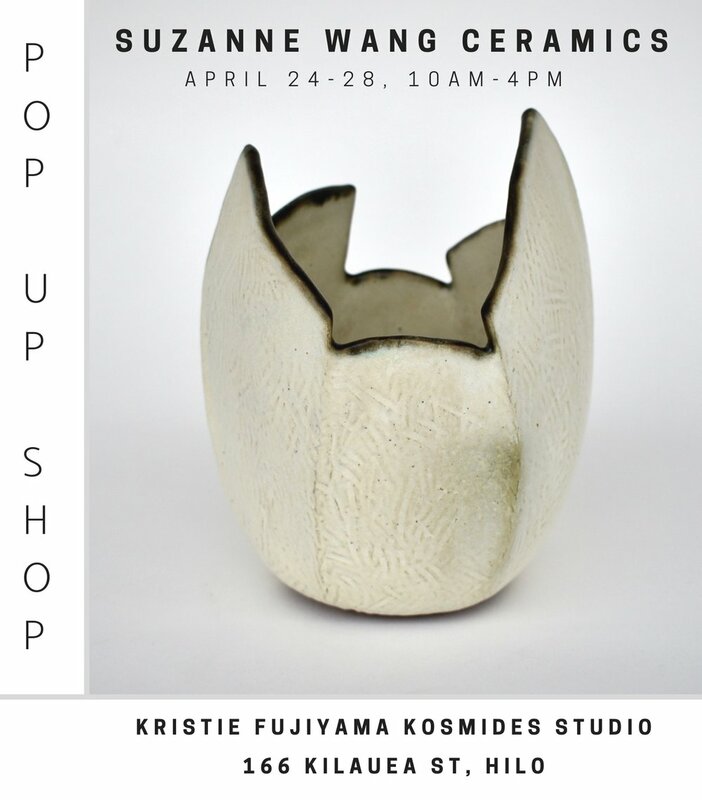 For the week of Merrie Monarch Festival, I will have a pop up shop of my ceramics for sale in the front room of Kristie Fujiyama Kosmides Studio in downtown Hilo. I’m very grateful for this opportunity she has given me to showcase my work in her beautiful space. I’ll also be working on hand coiled vessels while on site. Kristie’s gorgeous oil paintings will also be on display in the back room, with some prints and cards for sale as well. Come check out some new work and celebrate the biggest hula festival and Hawaiian Arts Fair of the year!